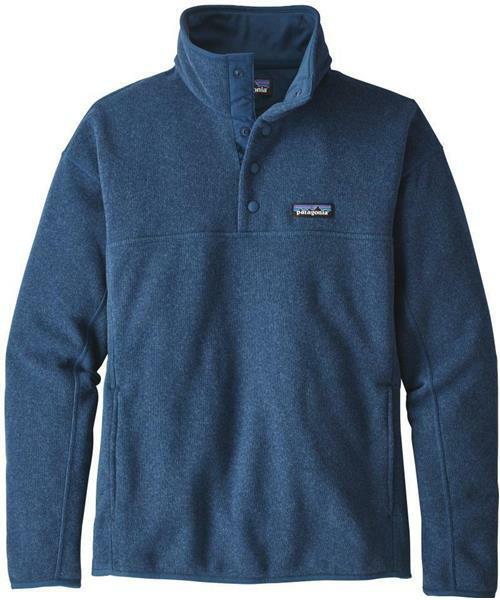 Made from a lighter-weight version of Patagonia's classic Better Sweater fabric, the Marsupial Pullover has a sweater-knit face and a soft fleece interior. A zippered kangaroo pocket keeps track of essentials. Extra-soft polyester jersey lines the collar and four-snap center-front placket regulates warmth. Flattering princess seams add shape and eliminates bulk. Fair Trade Certified™ sewn. Hip length.